The Double Barrel Interceptor (DBI) at the Metropolitan Wastewater Treatment Plant required major improvements to continue effective service for the Twin Cities metro area. 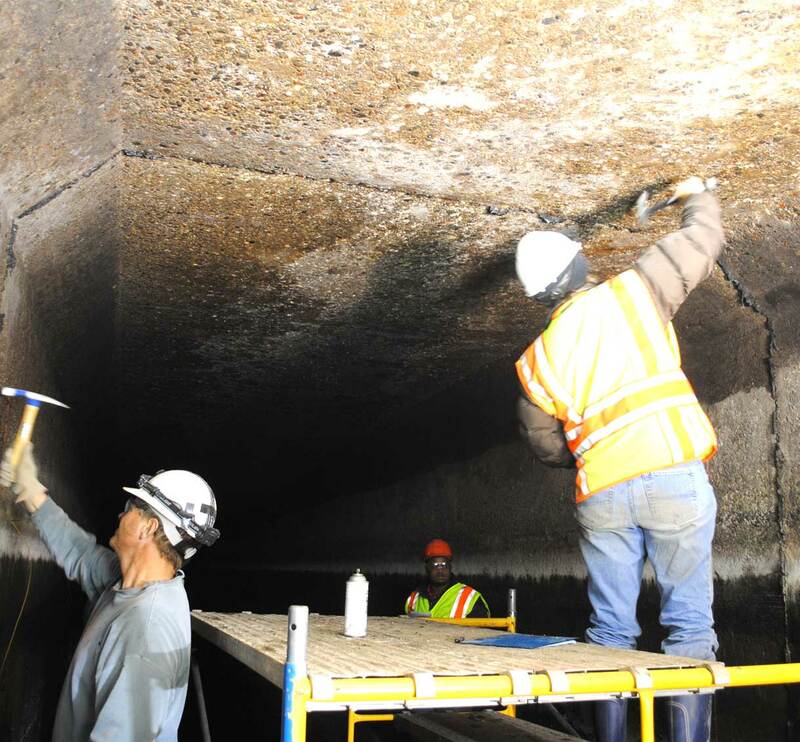 TKDA provided the necessary rehabilitation of the DBI to convey wastewater flows from the central cities of Minneapolis and Saint Paul and over 60 suburban communities for treatment prior to discharge to the Mississippi River downstream of downtown Saint Paul. TKDA’s rehabilitation design consisted of placement of a temporary bulkhead upstream and closing sluice gates downstream; dewatering of one side of the DBI; removal of debris; inspection of the interior joints and concrete; cleaning of deteriorated concrete at joints and concrete surfaces; and repair via various methods depending on the type, extent and location of the deteriorated joints and concrete surfaces.